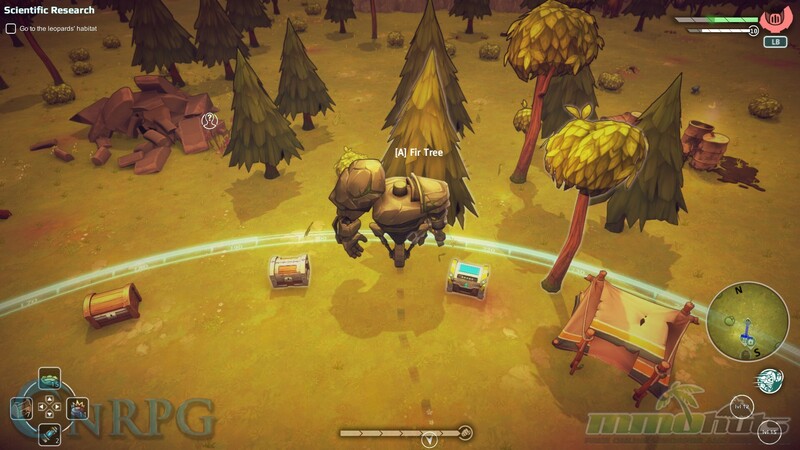 Goliath is an action RPG with some fairly ambitious goals. You play as a young man with a very cool gauntlet who has somehow gone far from home. Without much knowledge of where you are, you go through a pretty simple tutorial that explains just how this game works. It’s not just a traditional RPG though. Sure, you gain levels and explore new Biomes [worlds], but it is primarily a survival game. Octopus Tree and Whalebox put together a very fascinating game where every decision matters, and even the Goliaths matter. I don’t think it’s quite perfect yet, but it’s very enjoyable. There’s even supposed to be multiplayer on the way! 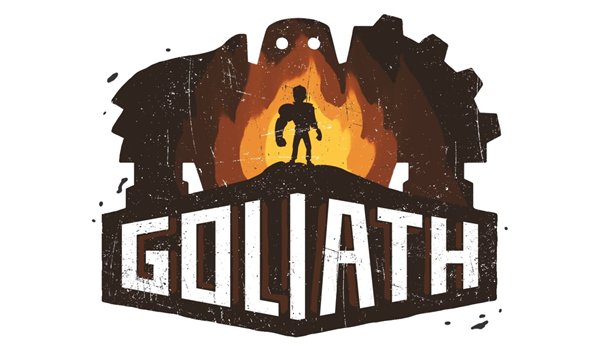 With it, up to four players can hop in their Goliaths and kick the crap out of giant enemies. With a dynamic weather system and day-to-night transitions, what you do in this world determines whether you thrive or perish. You won’t always run around in a Goliath either. There are areas you have to drop back into human mode and sneak around; being aware of your surroundings has never been more important. The terrain and time of day, as well as weather, determines how powerful you can potentially be. A prime example of this is the Wooden Goliath, the very first one you learn how to build. This bot heals in the water and rain, but fire makes it take extreme damage. 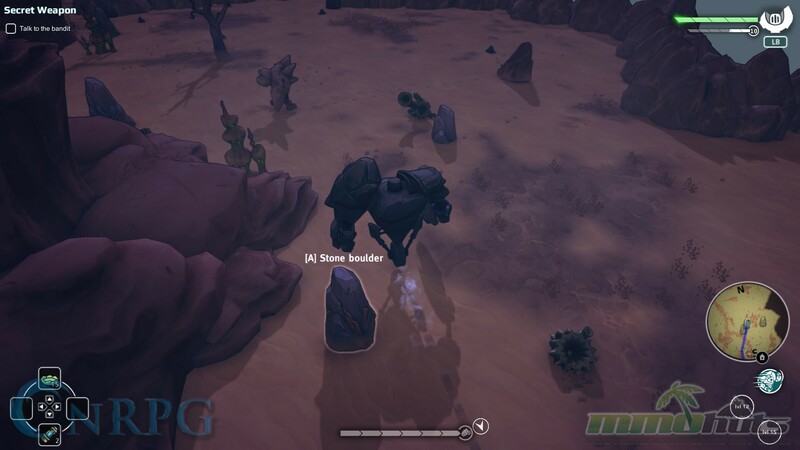 High temperatures make it weak, whereas the Stone Goliath thrives in high temperatures, even making it faster/more mobile. Each Goliath has its own unique traits and abilities, and can equip weapons made of the same material it is. Wooden cannot wield Stone, et cetera. The most important feature to learn is what is useful where, and what advantage each gets in said situation. But therein lies another problem: You can have three Goliaths to hotswap between, but if you don’t have a place to put it, you can’t build new ones. You have bays that let you store one.. but what happens when you’re maxed out and can finally build new Goliaths? It’s very unclear with what you can do with them, and that’s a problem! I eventually learned that you can deconstruct with the Goliath Construction system, but it didn’t appear until much later in the game. That leads me to another issue I had with the game: It seems to me that you can’t upgrade a Goliath manually. You instead have to build new ones, at least as far as I’ve gone, and that becomes incredibly tedious. You gain new parts through the “Experiment” system. The way that works, is you have to do certain tasks to unlock new parts for Golems. 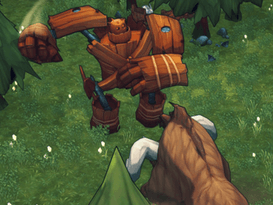 One of the Wooden Goliath tasks is to have it catch fire in a certain environment. Doing so unlocked a new part for that style Goliath. To build anything you need materials, and that’s where the survival aspect also comes in. 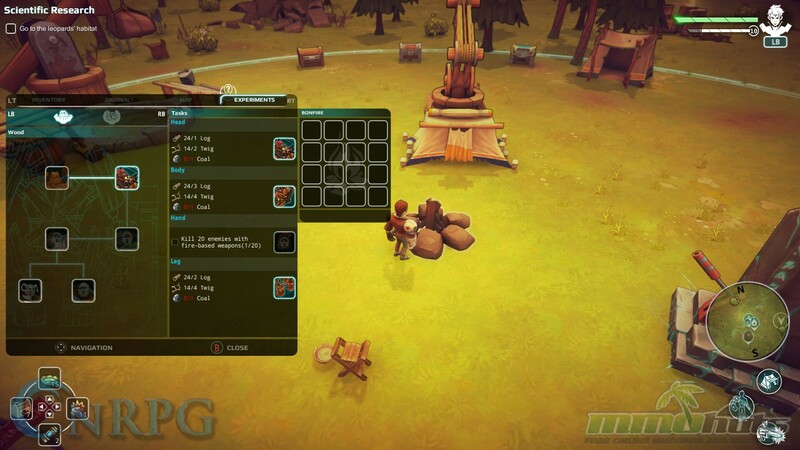 You break down boulders, chop trees, and wreck almost everything in the open world to obtain craft items, build weapons, and medical/repair items. You construct stuff in your camp, which has a barrier that no enemy can cross. 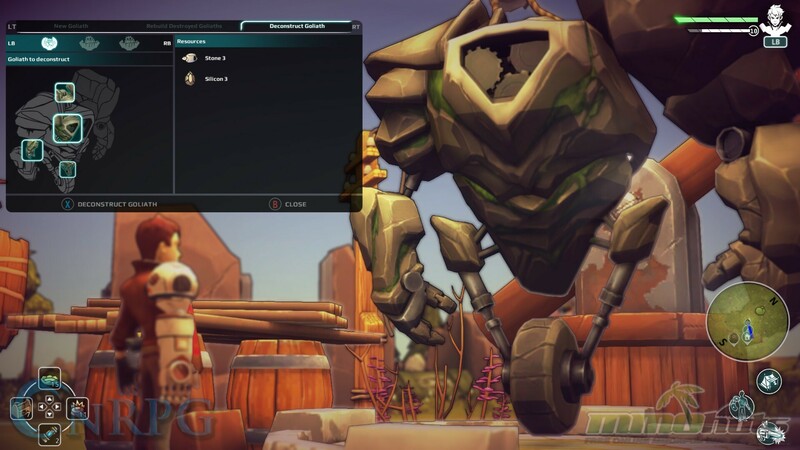 You make items for you and your Golems in the tent via the Goliath Construction/Weapon construction systems, and other useful constructions to make your life a little bit easier. It’s not going to be the same every time, so with the procedurally generated worlds, it’s a bit like a roguelike in that regard. The quests – nothing will be the exactly the same. Speaking of the world, there are several factions in the world of Goliath, and each one has different wants, needs, and Golem plans. So what does that mean? 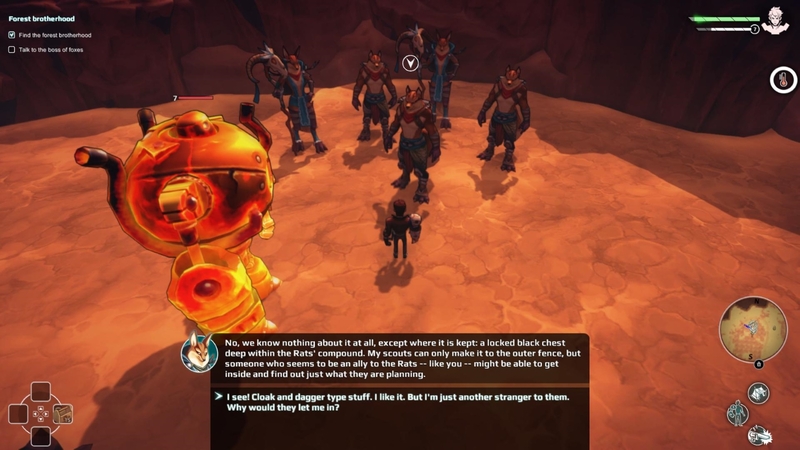 As you progress through this story you have the chance to work with groups like the Fox people, the Ratkin, and others. In my playthrough, after joining the Forest Brotherhood [Foxes], I was given a powerful weapon to use as proof that I betrayed the Fox people, and use it as a ruse against the Rats. Now the Rats also want me to betray them! What did I do? Well, I may or may not have acted morally and righteously. And that’s what I like about this game! This is what I like the most [sans giant robot battles]: The ability to decide what is right, what is wrong, and do whatever you feel like. Do you want to fight the Rats instead? 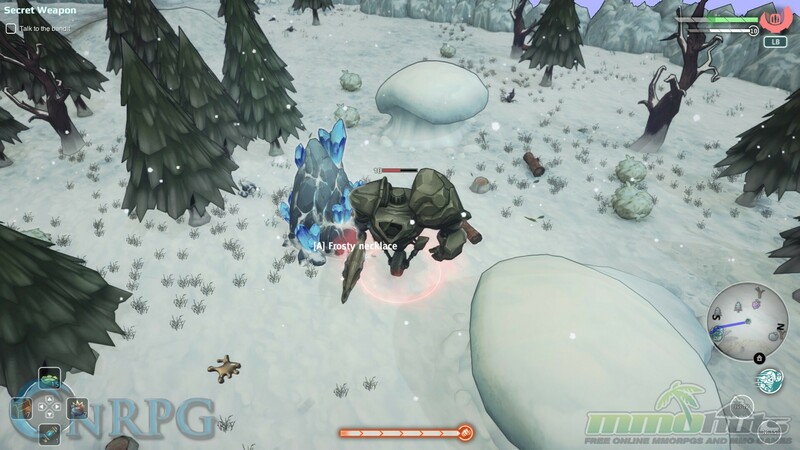 Do you want to hunt down the wolves after getting a powerful weapon from them? It’s all up to you! How you want to play the game will change the strategy you need to employ to succeed. And of course, you pilot giant robots and employ their various abilities, pros and cons, to survive. Goliaths can power up by moving around for a period of time, which will increase the power of their abilities and attacks, but it’s pretty brief. You’ll want to use this when you get overwhelmed by enemies and have to run them in circles to not die. Do you want to survive? Set traps, mines, throw boulders and sneak around with invisibility. Do you want to teleport to new biomes and explore, meeting factions and helping or harming them as you see fit? No, really, what? Never listened to the song. Goliath is a mixed bag, and one we will explore further when the multiplayer drops; when that happens, Bottom Tier will be there to report on it! There are lots of interesting things happening. I don’t think it is very user friendly, and I died over, and over and over again trying to get used to the game. I do admittedly hate that you can’t move the camera up and down, only side to side. It makes it a little harder to see things coming or going sometimes, but that’s not a major gripe with it. The story feels a bit unclear, and the game is terribly unforgiving, but it is fun beyond that. The goliaths are fun to pilot, get cool abilities, and even if you are a bit underpowered, you can get by with some patience. I’m disappointed it didn’t launch with multiplayer, but I’m sure it will be a lot of fun. I can see this would make for truly exciting adventures! I enjoy this game, but I feel like it will be more popular with survival fans. The difficulty can ramp up quickly and be pretty unforgiving, and if you’re into that, you’ll definitely feel it. The long and the short is, Goliath is a lot of fun. It’s hard, but not without reward. + Oh boy does it have that. Giant Robots vs. Giant Monsters [and regular monsters] can be a lot of fun. Utilizing the right defensive and offensive powers at the right time will give you the edge, if you’re in the right biome for that Goliath. – But you have to be in the right biome. If you’re a Wood Goliath in the desert, and you don’t have access to Stone Goliaths yet? Good luck because it’s gonna be rough. It doesn’t seem like there’s much of an aggro drop unless you get back to camp. But I have glitched level 30 enemies as a level 7 Goliath, luring them into the barrier of the camp and killing them when they can’t fight back. + It’s certainly a challenge. You have to spend a fairly long amount of time finding out what items come from what biomes, and farm accordingly. And for your Golems, you’ll want enough for repairs. It’s challenging, but it’s not an impossible experience. – While yes, I enjoy the varying weather/temperature changes affecting your Goliaths, heat on your Wooden Goliath can be absolutely infuriating. One lick of flame can practically kill them if you aren’t even remotely cautious. I can’t count the number of times I gotten blown up and mowed down. Gaming Publisher Offers . 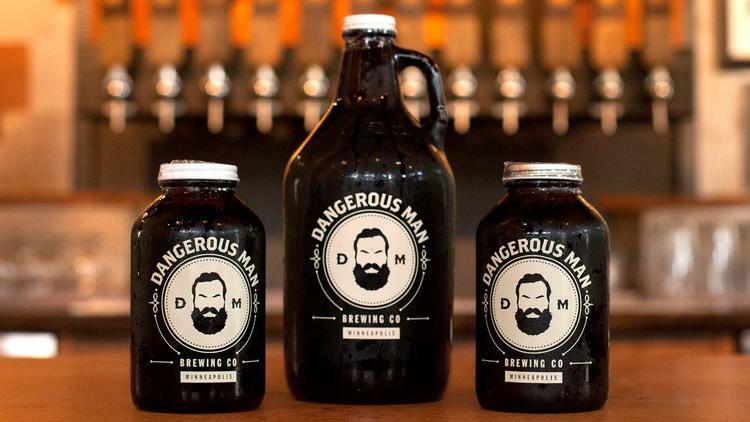 . . Beer?